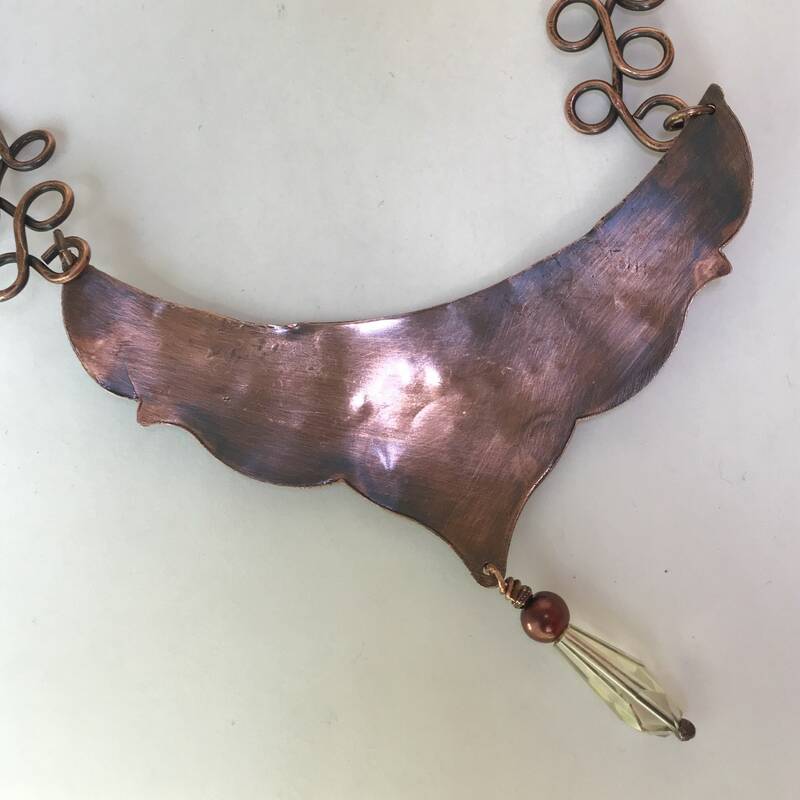 From sheet metal and wire comes this great statement necklace. 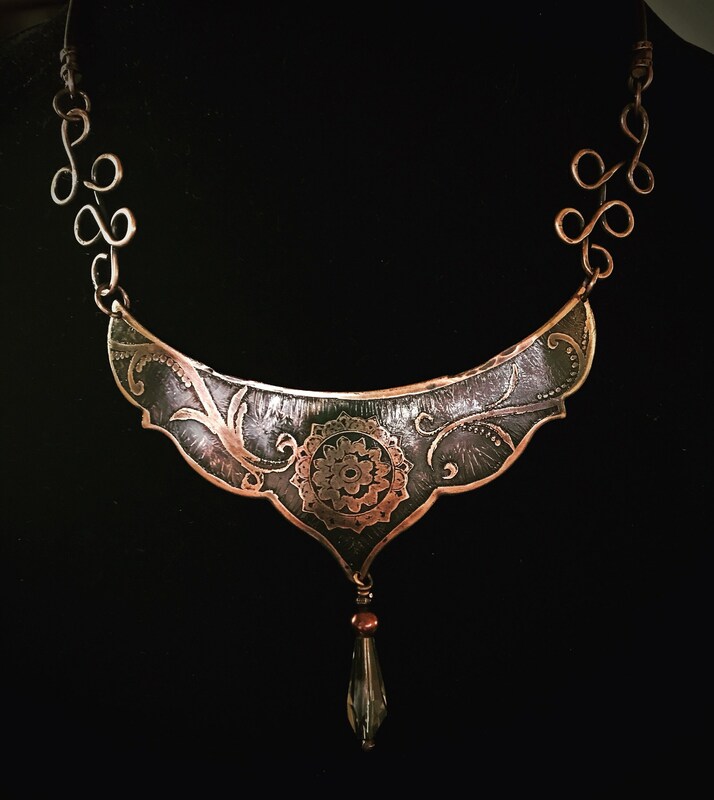 I hand cut the pendant from sheet metal and added a mandala design which is etched into the metal. 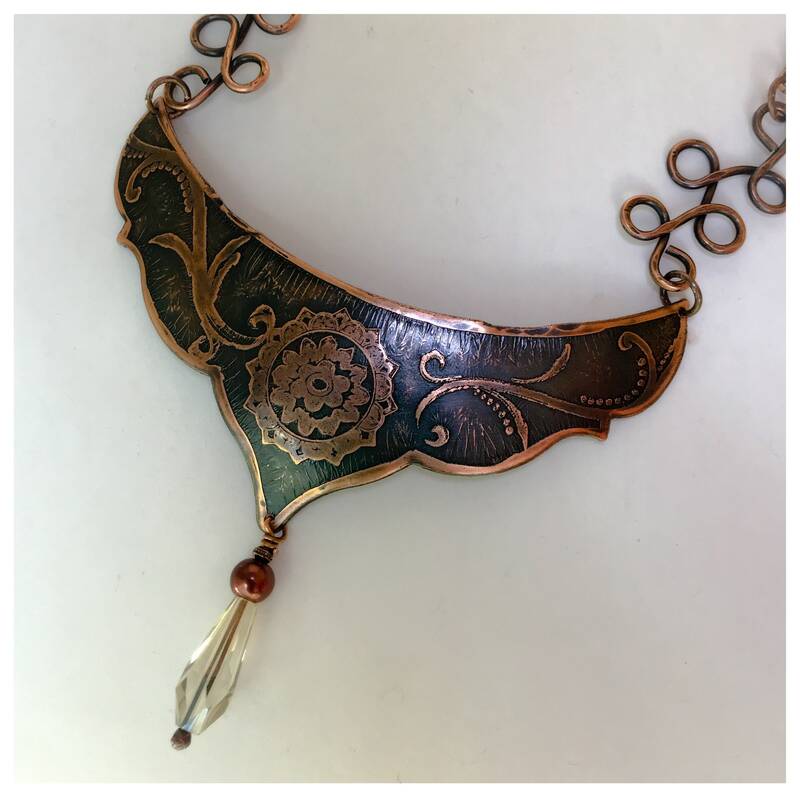 It has been given an oxidized patina and protective jewelry lacquer. 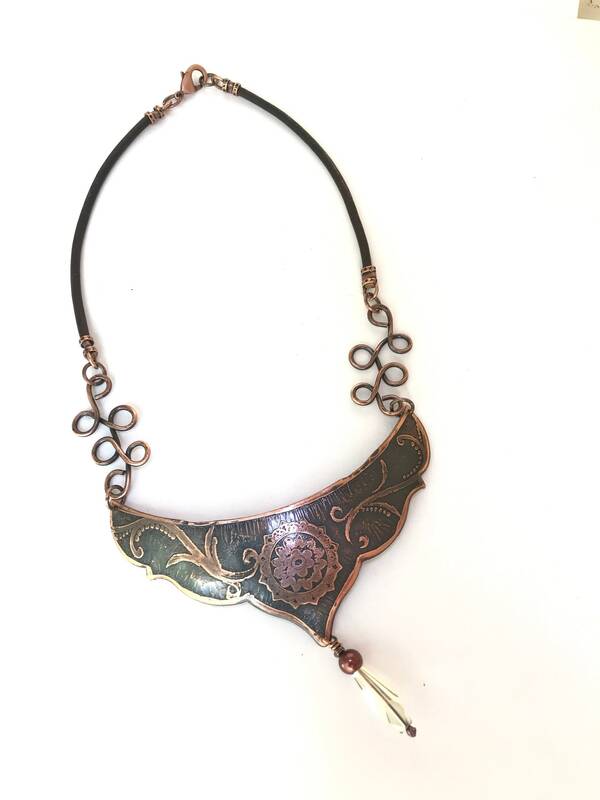 The pendant measures 4 inches across and 1 1/2 inches wide. I have added a teardrop glass bead along with a Swarovski glass pearl. The length of the necklace is 16 inches. I used a natural brown 3mm leather cord with copper ends and clasp.